A multi-million dollar waste of ratepayers money on a failed Ryde Civic Centre plan could see the plan scrapped within weeks by the new look City of Ryde Council. 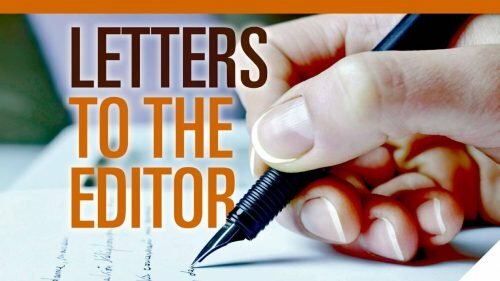 The Weekly Times recently revealed the huge cost of relocating staff from the existing, empty civic centre building at Top Ryde to luxury offices in Macquarie Park as well as exposing the so-called “award winning” civic centre replacement as financially unviable. With the proposed replacement design sent back to the award winner – an Institute in Beijing – a few weeks ago, The Weekly Times can now reveal that the new council could throw the project on the scrap heap of history. This could mean ratepayers are saved millions of dollars with the existing building restored at a fraction of the cost with new council chambers and an internationally renowned performing arts space. 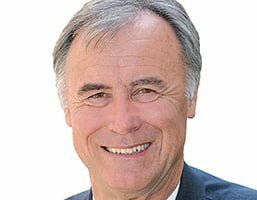 Ryde Labor says its new team of four councillors want Colonel Bill Pickering’s so called “civic hub” project thrown in the rubbish bin because it relies on an “unacceptable” high rise development plan. 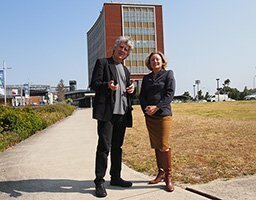 “Our commitment is to keep the Civic Centre out of the hands of property developers and to maintain this site for exclusive community use,” Ryde Labor leader Clr Jerome Laxale said. Pickering and the Ryde Liberals had previously backed the failed “twin towers” development which was later scuttled by Independent Mayor Ivan Petch. 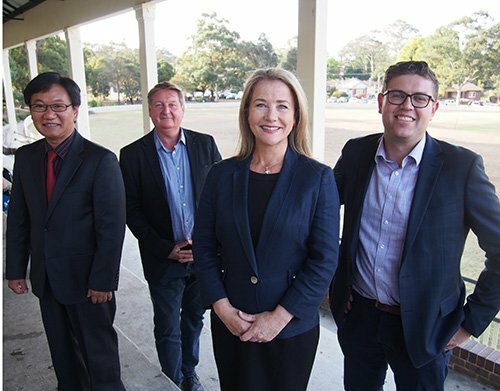 The Liberals then attempted to raise the idea from the dead with an international design competition for a new development but new Ryde Liberals leader Clr Sarkis Yedelian said his team of three new councillors are now prepared to rethink the whole enterprise. “We’re opened minded and we said during the election campaign we’ll go back to the community to seek its view, we’ll then meet to discuss this among ourselves and we’ll talk to the other teams on the council,” he said. The Greens have two new members on the Council in Clr Edwina Clifton and Clr Christopher Gordon and both want the Civic Centre to be returned to public use. “I’d struggle with the idea of high rise and we’re about keeping Ryde’s heritage,” Clr Clifton said. “And if we do keep the Civic Centre I’d like to see it run on a solar, renewable energy efficient basis. Christopher Gordon’s vision is to create a performing arts venue that will be the pride of Northern Sydney and he believes the Civic Hall next to the Civic centre building has enormous potential. “We have here and at the nearby Argyle Centre a fantastic opportunity and it shouldn’t be a debate about how much it costs, it should be a debate about how much we can give back to the community. Independent Clr Roy Maggio agreed and said the ill-fated “civic hub” idea should be put aside to give local people a say on what they want to see on the site. 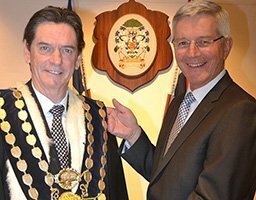 “I’m going to move a motion that a survey goes out with the next rates notice and simply asks what ratepayers want us to do about the Civic Centre,” he said. “You can’t leave this issue hanging in the air and in my opinion what’s missing in Ryde is a world class venue for the arts. “ I’d like to see the new performing arts centre at the site of the Argyle Centre and this could leave the Civic Hall to be refurbished as a new council chamber. “The one we use now above the Ryde Library is far too small and we saw this at a recent council meeting where we had 36 public speakers and more than 100 other people waiting in the corridor because there wasn’t enough room for them in the public gallery.